In the fourteen years since she first started Modelling, South African-born beauty Nicola Breytenbach has graced the pages of Cosmopolitan, Elle magazine, Vogue and American Marie Claire, to name a few. She’s walked the runways of Milan, Paris, London and New York for designers Chanel, Galliano and Dior. She’s done campaigns for Revlon, L’Oreal and Versace and worked alongside international supermodels Kate Moss, Cindy Crawford and Claudia Schiffer. From Europe, she moved her career to New York City where she joined Trump models and landed a contract with cosmetics giant, Revlon, as the face for their Absolutely Fabulous campaign and things went from great to the day she saw herself on a huge screen in New York’s Times Square advertising L’Oreal hair products. While modelling, Nicola dipped her feet in the popular reality TV series, The Apprentice for two seasons. Now Nicola has landed her first role in Free State and will also be seen in The Blue Mauritius, a US and German co-production scheduled to start filming in Montreal in March 2016. 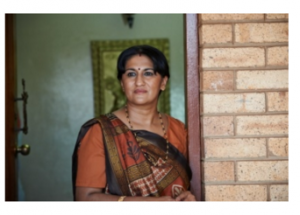 At the age of sixteen, Andrew Govender was spotted in a shopping mall by his first agent. He is currently signed with a South African modelling agency, Heads Model Management. He matriculated with six distinctions from Glenvista High School in 2004 and graduated with an Honours Degree in Actuarial Science from the University of the Witwatersrand. He was also first runner up of Face of Markham and was crowned Mr. South Africa 2012. Alongside his modelling career, Andrew created the Andrew Govender Book Club with the Nelson Mandela Foundation to collect books to distribute to local schools and homes for disadvantaged children. He was also involved in ‘Grass Root Soccer’ to spread HIV/AIDS awareness amongst the youth via soccer. He is also part of the Next Generation campaign, which aims to mentor school children and is an ambassador of the Nelson Mandela Children’s Hospital as well as for Spirit Day South Africa. Andrew has modelled for Palse Homme at South Africa Fashion Week. 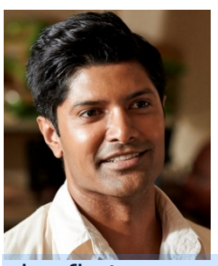 Govender represented South Africa in the Mister World 2012 pageant in Kent, England and appeared as a guest star in an episode of High Rollers, a SABC 3 TV show. 2013 was an eventful year for Andrew as he judged many pageants as Mr. South Africa, appeared in Cosmo’s Sexiest SA Men Calendar and modelled in the Night with the Stars fashion show. Leleti Khumalo rose to fame after playing the title role in Mbongeni Ngema’s musical, SARAFINA in 1995. The production toured world wide and she was nominated for a Tony Award for the title role in N.Y. and received an NAACP image Nomination amongst top performers such as Janet Jackson and Angela Bassett for Best Actress. Leleti later starred opposite Whoopi Goldberg in SARAFINA the movie. She co-starred in Ngema’s International hit musical “Magic at 4 AM” and appeared in the stage play Kwasekuse. Soon after, she starred in another Ngema musical, Mama, which toured Europe and Australia, starred in Sarafina 2 and was cast in The Game, directed by Duma ka Ndlovu. 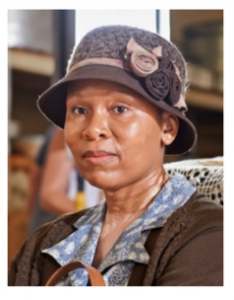 Recently, Leleti also starred in the much-acclaimed John Kani stage production, Nothing But The Truth. Other credits include “Cry The Beloved Country”, “African Skies”, “Yesterday”, “Hotel Rwanda” and “Invictus”. Leleti made her television series debut with a lead role in Generations, for SABC 1 and recently appeared in a support role in SABC 2’s Heartlines series, Hopeville as well as Soulcity 2011. Leleti worked with Oprah’s school, conducting workshops for the students. She went on to partner with South African Government creating Leleti Sukumasa khe, Lelti school ground. She is currently a Radio host in her hometown of KZN- Vuma 103fm- an entertainment show hosting famous guest in the business. Khumalo has received numerous acting awards and nominations. Most notably, she was awarded an acting diploma by the Mbongeni Ngema Academy of performance Excellence. Deon Lotz is a multi award winning South African actor best known for his role as Kobie Coetzee in the 2013 feature film Mandela: Long Walk to Freedom, starring Idris Elba, Naomie Harris and Terry Pheto. 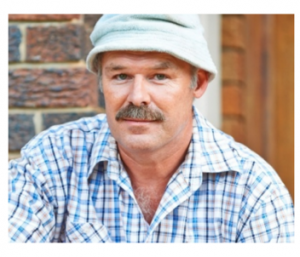 Other feature films he has acted in include Proteus, Hansie, Skoonheid, Stargazer, Winnie Mandela, Sleeper’s Wake, Verraaiers, Musiek vir die Agtergrond, Cold Harbour, Faan se Trein and Kite. 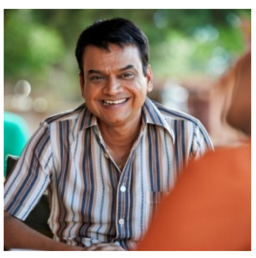 From Aurangabad, Mangesh Desai holds a Bsc Degree in Electronics and a BA Drama from Marathwada University. Before studying drama, Desai performed in some 1000 social responsibility shows on subjects ranging from Ban on Alcohol and Awareness of literacy to Family Planning. He has also participated in over 70 full-fledged Marathi plays and one act plays and won Best Actor in the prestigious Purshottam Karandak Competition. Fortuitously, he landed a role in a play produced by Natyadarpan, a leading Marathi drama company and was discovered by Nana Patekar, a leading artist in the Marathi and Hindi Film Industry, who encouraged him to move to Mumbai. His prolific career in Mumbai included appearing in numerous plays including “Jaau Bai Joraat” garnering a number of awards and establishing himself as comedy actor. Opening the door for him to appear in a number of television shows and soaps. While he was busy in experimenting and exploring his career successfully, he was also involved in Marathi feature films. He has appeared in over 40 films most acclaimed film being “Khel Maandla” for which he garnered a Best Actor Screen Award and Third Eye Film Festival Award. His next feature film outing will be in the biopic “Ek Albela” about legendary Indian actor Mr. Bhagwan Dada, to be directed by Shekhar Sartandel. Hemali Juta-Pillay was born in Durban, South Africa. 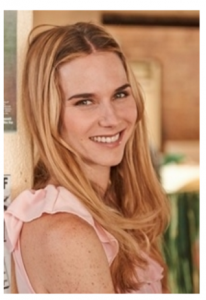 She completed Matric with Speech and Drama and remains a student of the Meisner acting technique. Hemali’s first love is Indian music and Bollywood. She has choreographed and participated in several dance and theatre productions. She is energetic, versatile and enjoys presenting on camera. She also has a few voiceovers to her credit. Her television credits include Fox’s Emmy Award winning series, “Homeland”, where she was asked to speak in Pashto. She also starred in the popular South African series, “Isidingo” followed by a role in “InIhawu”, a series about communities fighting for the rights of mineworkers in South Africa. She made her feature film debut in John Irvin’s “Mandela’s Gun” in which she played anti-apartheid icon, Fatima Meer. Keith was born in Durban, South Africa and graduated with an Honours Degree in Film, Theatre and World Music studies from the University of Kwa-Zulu Natal (UDW). He got involved in the struggle against Apartheid at University (1993-1996). He wrote and performed music and drama that propagated freedom and equality for everyone in SA. As a ragga-rapper in the early 90’s, he performed Bayete, Brenda Fassie, The Village Pope, Boom Shaka, Mdu, Arthur and many other Kwaito stars. He chose the Ragga Rap style as it incorporated many linguistic styles from various cultures, including his own Indian background. He also mimicked Shabba Ranks, Shinehead, Snow, The Stuntman, Beenie Man, Snoop, Dr Dre, Jamal Ski and Apache Indian, a very well-known India born Ragga Rapper. His feature film credits include “Jerusalema”, “Mr Bones 2”, “Chander Pahar” and “Forgotten”. On television he has been seen in “Isidingo”, “Generations”, “Muvhango”, “Jacob’s Cross”.